A delegation of top Government officials visited the Biorenewables Development Centre (BDC), a University of York subsidiary, this week to investigate how waste can be converted into valuable products to benefit the UK economy. The Government’s Chief Scientific Adviser, Sir Mark Walport; Chief Scientific Adviser to the Department of Environment, Food and Rural Affairs (DEFRA), Professor Ian Boyd; and Mark Turner, of the Department for Business, Energy and Industrial Strategy (BEIS) were on a fact finding mission to explore how a waste-based bio-economy might help the UK thrive. The Green Investment Bank has estimated there could be an investment opportunity of £5 billion in the UK waste market by 2020. Organisations across Yorkshire are working together to make the most out of this opportunity by turning unavoidable bio-wastes including, household and food processing waste into products, such as antibiotics, anti-fungal compounds, and biofuels. The delegation visited the BDC’s Research and Development facilities at York Science Park and Dunnington to meet clients, including local company, Wilson Bio-Chemical, who are working with the BDC to scale-up their technology for turning household waste into biofuels and high-value products. They also discussed a research collaboration with GSK, and Veolia to convert food by-products into antibiotics. 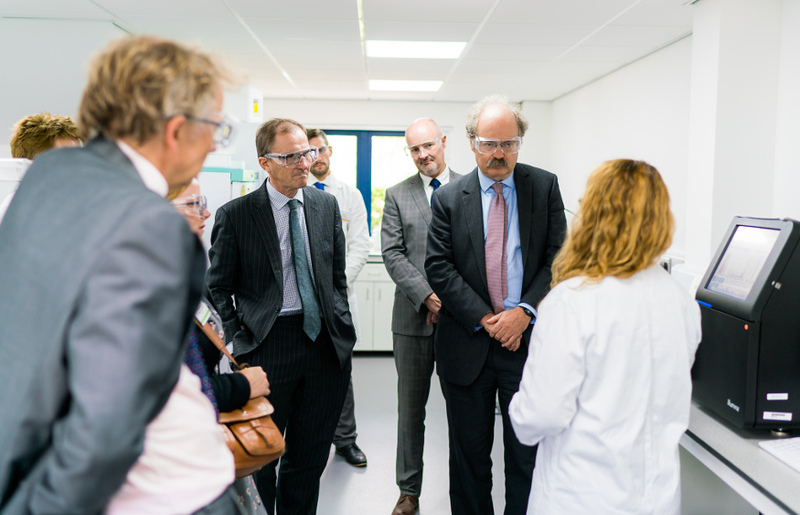 Sir Mark Walport said: “It is great to see first-hand how the chemistry and biology science base at the University of York is working with industry to solve some of the major challenges they face. The Steering Group for local innovation cluster, BioVale, which is composed of leading industries working in the bioeconomy as well as academics and policy makers, discussed their next grand challenge: adding value to bio-waste. They updated the Chief Scientific Advisers on what Government can do to help develop a waste-based bioeconomy. The York, North Yorkshire and East Riding Local Enterprise Partnership (YNYER LEP) Chair, Barry Dodd, also announced a new £10 million bioeconomy Growth Fund to boost local bio-based innovations.